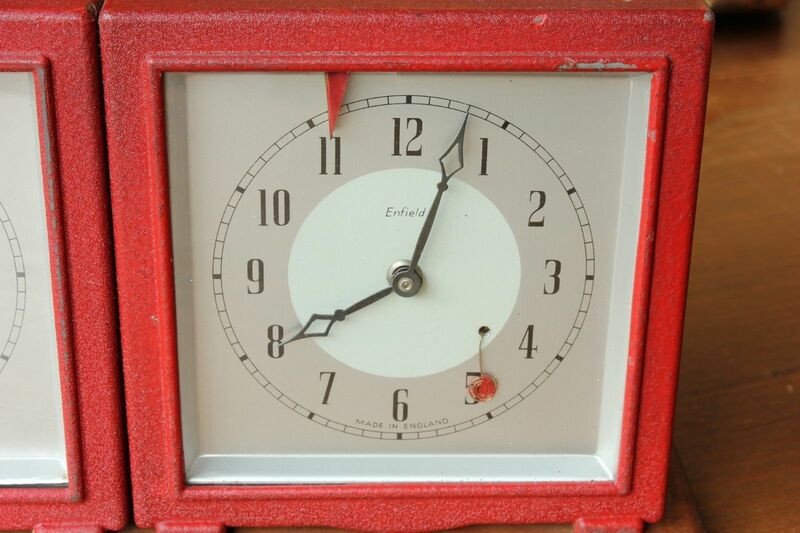 Red Vintage English 1940's Enfield Chess Clock Timer. 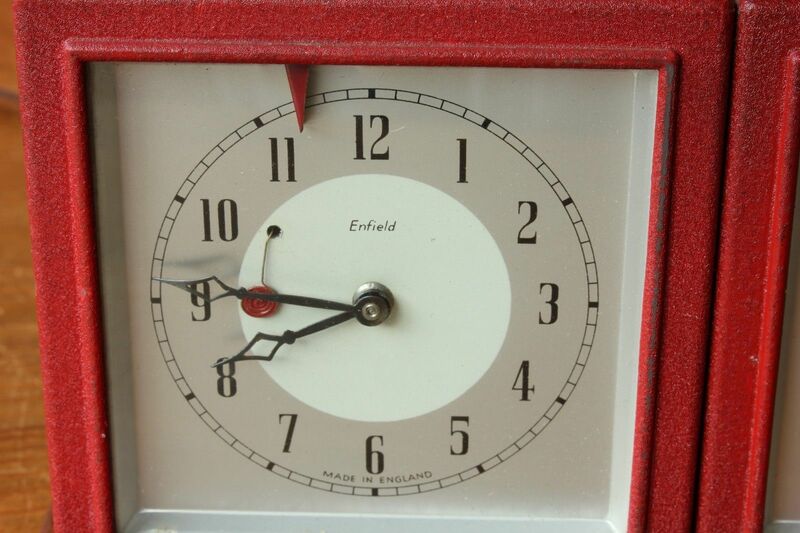 This unusual chess clock made by Enfield dates from the 1940's and has Art Deco style clock faces marked with the Enfield logo Made in England. 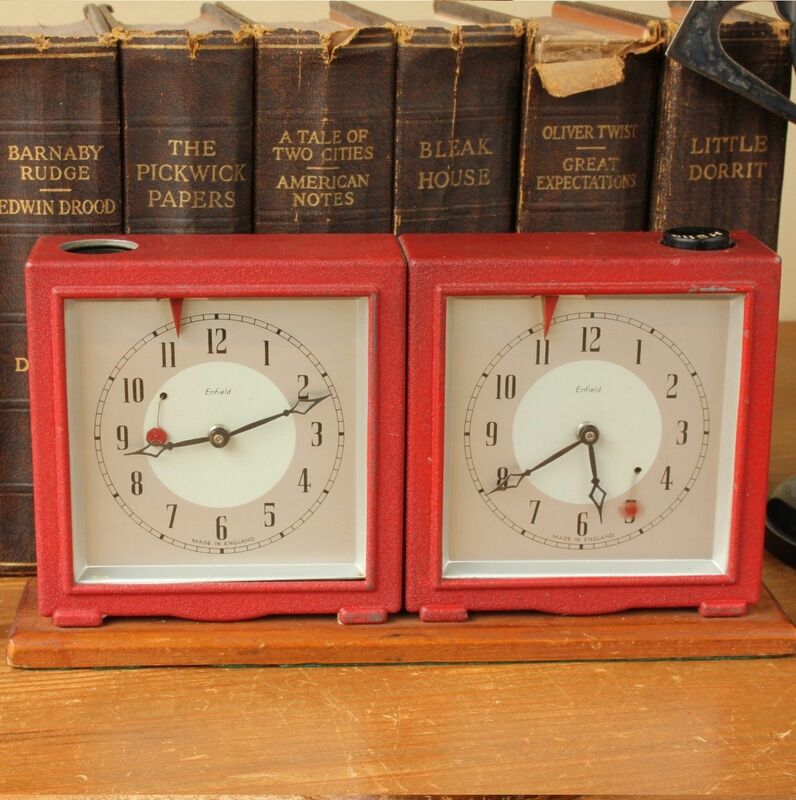 The chess clock has it's original red enamel paint, is mounted on a wood base and has two black buttons on the top marked 'PUSH' in white text. 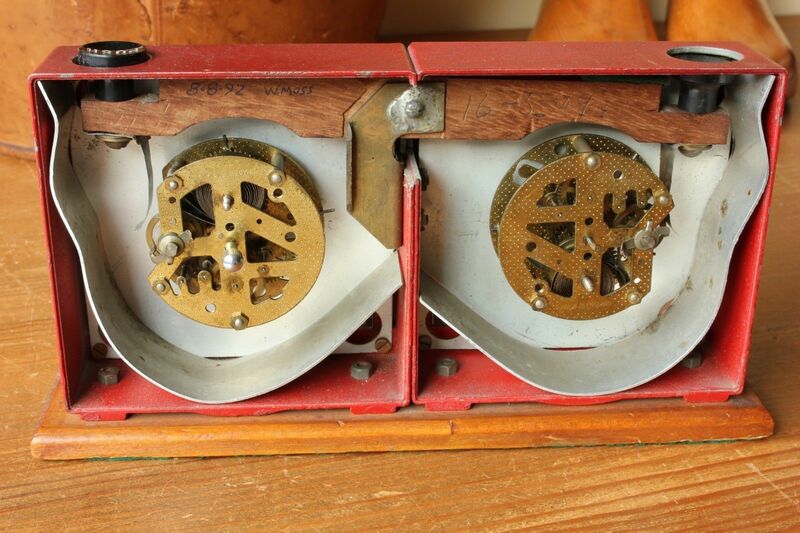 It also features ticking movements on the dials in red that tick in time. On the inside of the clock the wooden rocker bar has the dates 16 / 5 / 49 which is most likely when it was made and 8.8.92 which I would imagine was a service date. Size: Width: 23 cm / 9". Height: 12 cm / 4 3/4". Condition: Very good original used vintage condition with some light wear to paint. Some small chips. The back plates have some scratches. 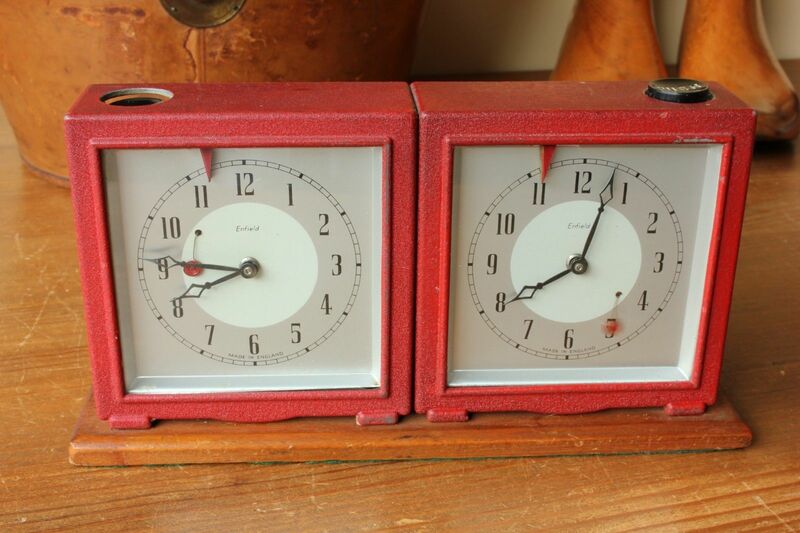 I have had the clocks running for about a week and they seem to be working fine but do not come with a guarantee. The rocker switch works well. 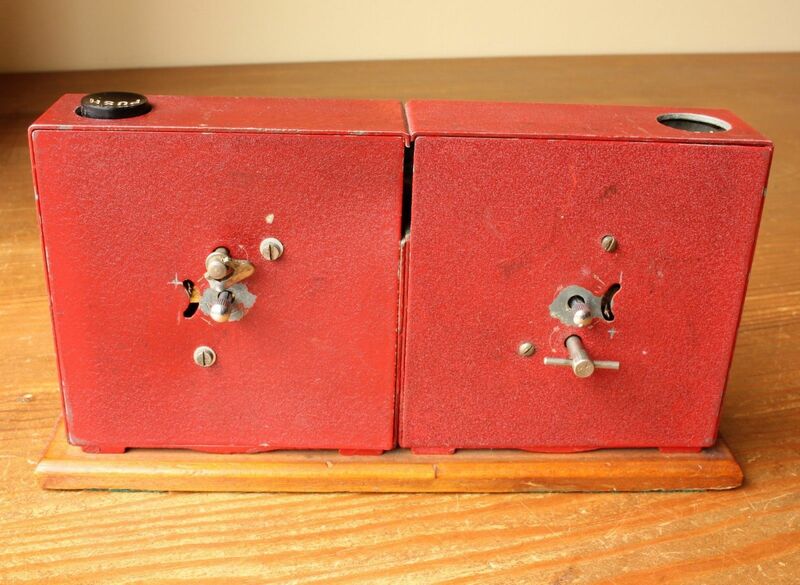 One of the winders looks like a replacement. Please see pictures.